The Young Statisticians Meeting (YSM2013) is a fantastic opportunity to present and discuss your work with other young statisticians in a relaxed and friendly atmosphere. Attendees are encouraged to give a talk and/or submit a poster. The meeting is traditionally aimed at statisticians in the first ten years of their career. Presentations on current PhD research are therefore welcomed as are talks on work experience in industry or public service. The conference fee will be £100. 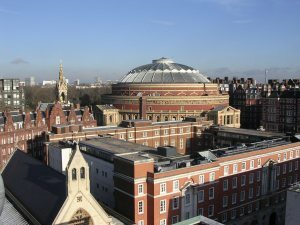 Accommodation close to Imperial College London for Wednesday 3rd and Thursday 4th July is available and can be booked separately on the conference website (there are 70 rooms available). Those who would like to stay in London for the weekend are welcome to book extended accommodation for Friday 5th and Saturday 6th July (there are 15 rooms available). We are looking forward to seeing many young statisticians in July 2013! BAYSM 2013 is a fantastic opportunity to present and discuss your work with other young statisticians in a relaxed and friendly atmosphere, with senior discussants giving you suggestions and comments aimed at improving your work. Attendees are encouraged to give a talk and/or submit a poster. The meeting is aimed at early career statisticians, i.e. people carrying out a PhD, post-doc or finishing a Masters degree with outstanding theses/projects dealing with Bayesian statistics. Presentations on current PhD research are therefore welcomed as well as talks on work in progress on applied experience. Notification of acceptance: March 15, 2013. No conference fee is due, but registration is mandatory, using the form available on the website. Electronic submission by email is required by sending both the tex file (together with enclosed pictures) and the pdf file to baysm2013@mi.imati.cnr.it. Accepted papers will be published on the meeting website. Moreover, the abstract contributions and plenary lectures will be also included in a Springer book from the series “Springer Proceedings in Mathematics & Statistics”. For further information (or if you have any questions), please do not hesitate to contact us. We are looking forward to seeing many young statisticians in Milan next June! 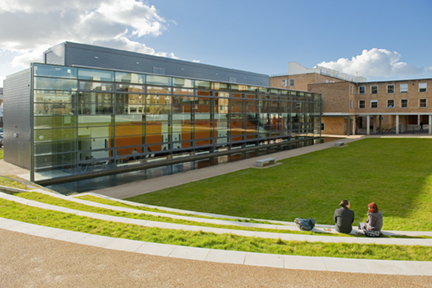 The conference will be held at Lancaster University between 25 and 28 March 2013. The RSC is a friendly conference run by students for students in the field of Statistics, Probability and (for the first time) Applied Social Statistics. It is a great place to meet fellow students, form inter-institution connections and present work, possibly for the first time. All PhD students are welcome to this conference and as is tradition, all applications to present work will be accepted on a first come first serve basis as there are limited spaces. On behalf of the organising committee, we look forward to seeing you in March.